As part of their ongoing drive to exceed customer expectations and deliver exceptional value for money, FEXCO continually seek to improve their processes and their performance. What they needed, therefore, was a way to measure human performance, but on their own terms – evaluating performance against their own criteria and priorities. Having defined these factors they decided on their focus, which was to measure individual phone calls. Mary O’Sullivan, Quality & Change Manager at FEXCO, looked at a number of solutions but was struck by the flexibility of bxp software. It provided both eLearning and QA which eliminated the requirement to integrate unrelated systems. 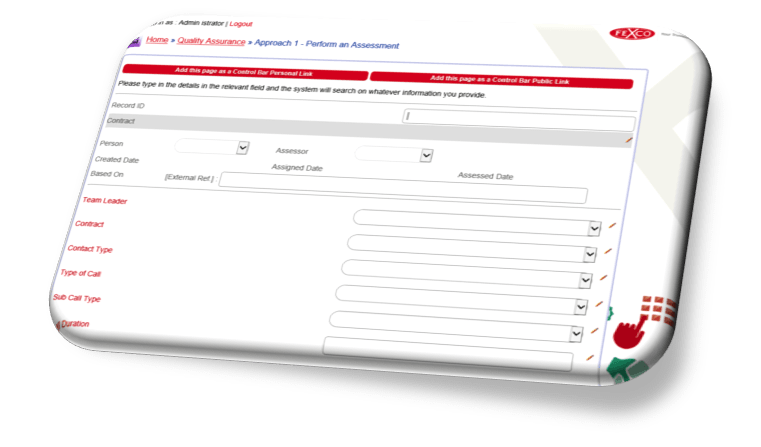 FEXCO really liked the fact that assessments were built to their requirements in the order they wanted them – with scores weighted to suittheir operation. In addition, bxp software allowed FEXCO to upgrade and refine assessments without affecting previous scores. FEXCO briefed us on their focus and key requirements, and together we started to build up the assessment questionnaires that would ensure that the desired output was achieved. bxp software uses intelligent grouping, which provides users with analysis of specific groups as well as an overall score. In output terms, this allows them to define whether, for instance, the whole call was a failure – or just one aspect. Groups allow for focused revision of specific areas and also demonstrate trends to be more specific. The questionnaire was circulated to stakeholders for review, following which we addressed the issue of score weighting. Standard questions were weighted based on how important that particular question might be, while critical questions were those that agents must get right, e.g. questions around financial compliance. N.B. bxp automatically flags critical errors to allow for immediate correction. Classification fields are used to arrange grouping and classification of scored records; for example, type and duration of call. 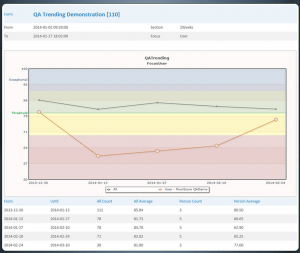 bxp software goes way beyond the traditional QA approach of simply adding assessment records which does not, for instance, provide any gap analysis. The preloaded approach allows you to load a pre-determined quantity of assessments, which guarantees a fixed number of assessments per person. The Injected approach allows evaluators to add and perform assessments as required. Applying the approach that suits your resources and requirements is extremely simple with bxp. Reporting shows how an individual, a team, a department and an organisation as a whole are doing on the same report. Reports are available at team leader and general reporting level. Section groups can be analysed in the same manner, using the same interface. 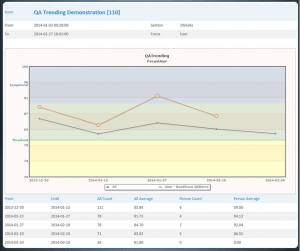 With positive results on go live, performance improvements were apparent immediately. From FEXCO’s point of view, the critical function was the direct link to relevant training material. This meant that behaviour was corrected or relevant information was provided immediately, which of course led to an immediate improvement in the customer experience. FEXCO backed each question with support material to demonstrate how that part of the process should be done. This allowed bxp to produce an individual training plan for each agent, using the training material tied to each question. When an agent scores below maximum, the relevant training links are included in a custom developed training plan for that person. This approach also reduces or even removes the need for classroom training – with all the costs and downtime that this entails. Personalised plans can be worked on in chunks. Using QA from bxp has probably driven the fastest performance improvement in learning FEXCO have ever experienced. Productivity has improved through better first call resolution results, agent knowledge has increased, and they have identified clear areas where training material can be improved.